Proof marks are stamps applied to various parts of a weapon during and after manufacture to show that the weapon is safe for use with the ammunition for which it was designed. In England, the London and Birmingham proof houses were established (in 1637 and 1813, respectively) by Royal Charter to protect the public from the sale of unsafe weapons. A number of other countries have also established their own proof houses and by agreement at consular level, reciprocal arrangements have been made for their proof marks to be mutually accepted. At present, these include Austria, Belgium, Chile, Czechoslovakia, Finland, France, Germany, Hungary, Italy, Republic of Ireland, Spain and the United Kingdom. A number of other countries have their own forms of proof, either in-house or centrally run. For various reasons, these have not been acceptable to the European commercial proof houses, and the weapons have to be fully proofed before they are legally saleable in those countries. European commercial proof houses. Weapons bearing military proof marks have thus to be commercially proofed before they can be legally sold in those countries. There are basically three types of proof: provisional proof, definitive proof and reproof. 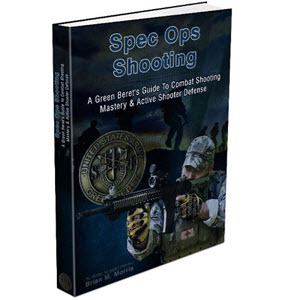 • Provisional proof is only for shotgun barrels in the early stages of manufacture. This type of proof is designed to prevent the manufacturer from continuing work on barrel blanks which may have hidden defects. • Definitive proof applies to all weapons and shows that the weapon has been tested with an overcharge of propellant and missile. Generally, this calls for between 30 and 50% increase in pressure over the standard round of ammunition. • Reproof is an additional test which may be applied after a weapon has been repaired or altered in some way. Proof marks can be a very valuable aid to the forensic firearms investigator as they can give information as to the age, history and country of origin of a weapon. Many countries have specific exemption from their firearms legislation for weapons which are ' antique'. At one time, the situation was simple, with an antique being considered to be anything over 100 years old. This, however, no longer holds true as many weapons, for example, the Colt Single Action Army Model of 1873, are well over this age and can fire modern centre fire ammunition. To complicate matters further, modern reproductions of some of these old weapons have been produced, which are often virtually indistinguishable from the original. In these cases, the proof mark could prove to be the only method of accurately dating a weapon. 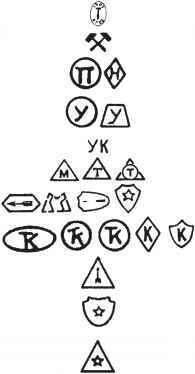 This is, however, a very complex subject and requires much research and experience in the interpretation of the marks before accurate information can be obtained. 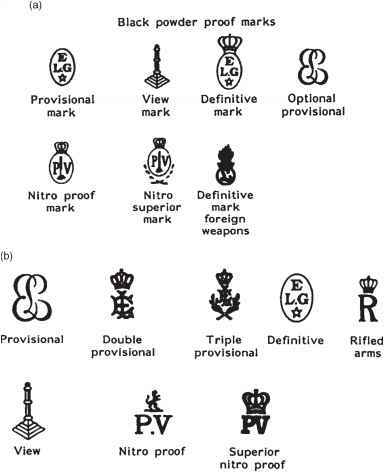 Many papers and books have been written on this subject, but probably the most authoritative is 'The Standard Directory of Proof Marks' by Wirnsberger, distributed by Blacksmith Co., Southport, Connecticut 06490 (Figures 1.23-1.36). Figure 1.23 British proof marks. 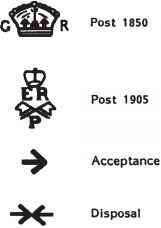 (a) Under 1954 rules of proof; (b) under 1925 rules of proof; (c) Birmingham proof marks - 1813-1904; (d) proof marks used between 1887 and 1925; (e) under 1988 rules of proof. Figure 1.24 British military proof marks. Figure 1.25 Spanish proof marks. Figure 1.26 (a) Belgian proof marks - since 1968; (b) Belgian proof marks - before 1968. Figure 1.27 Czechoslovakian proof marks. 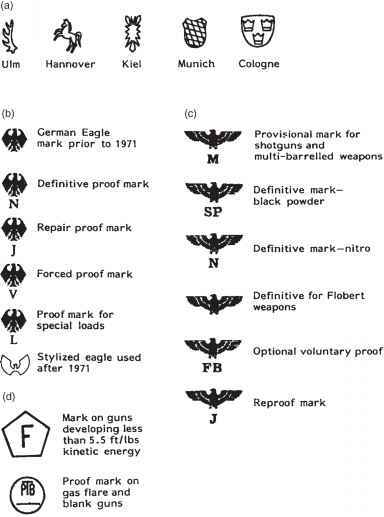 Figure 1.28 (a) German proof house marks since marks after 1945; (c) German proof marks 1939-1 marks. Figure 1.29 Republic of Ireland proof mark. Figure 1.30 American military proof mark. Figure 1.31 French proof marks post 1960. Figure 1.32 Hungarian proof marks. Figure 1.33 Italian proof marks. Figure 1.34 Japanese arsenal/proof marks. Figure 1.35 Russian proof marks. Figure 1.36 Russian federation proof marks. Is a browning 325 sp steel shot proofed? How much to reproof shotgun? How to read proof marks on black powder revolver? What do 1939 luger proof marks mean? What is the difference between a london proof mark and a german one? What proof marks identify an m1 30 caliber? 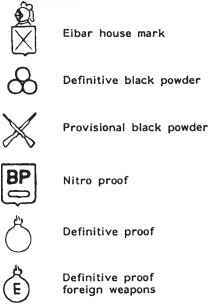 What does provisional black powder proof mean? Do tula akms have proof marks on the trunnion? How to identify a german luger? How to figure out year from indentifying stamps for german made 22 ca single shot pistols? What luger proof marking mean? What are proof marks in bullistic? How are proof marks useful to firearm examiners? What are proof marks and how are they used by forensic firearms examiners? What year did russian start standard proof marks? How are proof marks used by investigators ? What do the proof marks mean on my FN 458 safari gun? What do the stamp marks on a gun barrel mean? What proof mark symbol does Finland place on firearms made there? Where are howa rifles proofed?